Minnesota Point Beach House 5 is located on Park Point which is surrounded by the pristine waters of Lake Superior. This property is one city block from the public access to 6 miles of sandy beach on Lake Superior. It is only 4 blocks from the Aerial Lift Bridge and all that Canal Park has to offer. Our house comfortably sleeps 4-5 people. The front bedroom has a bunkbed with a full-size bed on the bottom and a twin-size bed on top. The back bedroom has a queen bed. The bathroom has a full shower and tub. We provide free Wi-fi. Our living room has comfy seating for 4, an electric fireplace, and a TV with DVD player. The kitchen has stainless steel appliances (including dishwasher) and is fully-supplied with all the cooking pots, pans, utensils you'll need to have a wonderful home cooked meal away from home! Steve and I (Heather) have lived in Duluth for the past 20 and 15 years respectively. We call it home now and have a tough time seeing ourselves living elsewhere. Lake Superior has a draw and we've been mesmerized since moving here. We both love the water and spend a significant amount of our free time stand-up paddle boarding, kayaking, canoeing and fishing. Both of us have caught a muskie out of our canoe a stone's throw away from our house on Minnesota Point. We love this area and look forward to sharing our home with you. Pots/pans, cooking utensils, mixing bowls, 9x13 pan, pizza pan, measuring cups/spoons, dishes, silverware, glasses, coffee mugs, stemless wine glasses. New stainless steel appliances. Large butcher block island. Dish soap and basic household cleaners provided. Good location and nice house. We really enjoyed our stay at Heather's house. The space worked well for our family of four and the house was very clean. We enjoyed being able to walk over the Lift Bridge to Canal Park and being so close to the beach. It was the first time taking our sons to Duluth and we would definitely stay here again in the future. We stayed 2 nights (2 couples). 1st impression: sparkling clean and freshly updated. Unusually warm 1st night and owners brought us 2 new fans. Great hangout. We hope to return sometime. Plenty of towels and clean sheets on the beds. We LOVED our stay at Minnesota Point Beach House 5. The home was spotless when we arrived and had everything we needed … comfortable beds, all the kitchen appliances we needed (including a dishwasher), gas grill in the fenced-in backyard, spacious and private bathroom, and washer/dryer in the basement. Everything was updated, clean, and fully functioning. Our family loved the proximity to the beach and Canal Park. We walked to Canal Park every evening and enjoyed coming "home" to a quiet, cozy house. Heather was extremely welcoming while also giving us our space. We would definitely recommend this home to friends and hope to come back again! The location was exactly what we were looking for. It was close to everything! The house was extremely clean and well put together. It exceeded our expectations! Our family of three stayed four nights here and found the location ideal for walkable access to the Canal Park restaurants, shopping and lakefront, as well as the revitalized Superior Street/downtown area. The house is cozy, the neighborhood is safe and quiet, and the kitchen has everything we needed to cook and dine in when we wanted to. The owners made themselves very accessible and were super responsive to our request for recommendations for local dining and attractions. There's also the more expansive beach of Minnesota Point just a short drive to the end of the peninsula. This house was perfect for our family of 4 for a long weekend in Duluth. The location is close to the action, but quiet at night. The house is just a few blocks from the lift bridge, and one block from the beach. The house is clean with all the amenities you might need. We will definitely look to rent this house again. State and city sales tax + city tourism tax + county tax = 11.375% Monthly rate for off-peak is $2000.00. Monthly rate for June, July, August, and September is $3000.00. Please contact me for detailed quote. Please note: we do NOT rent for one night at any time during the year. 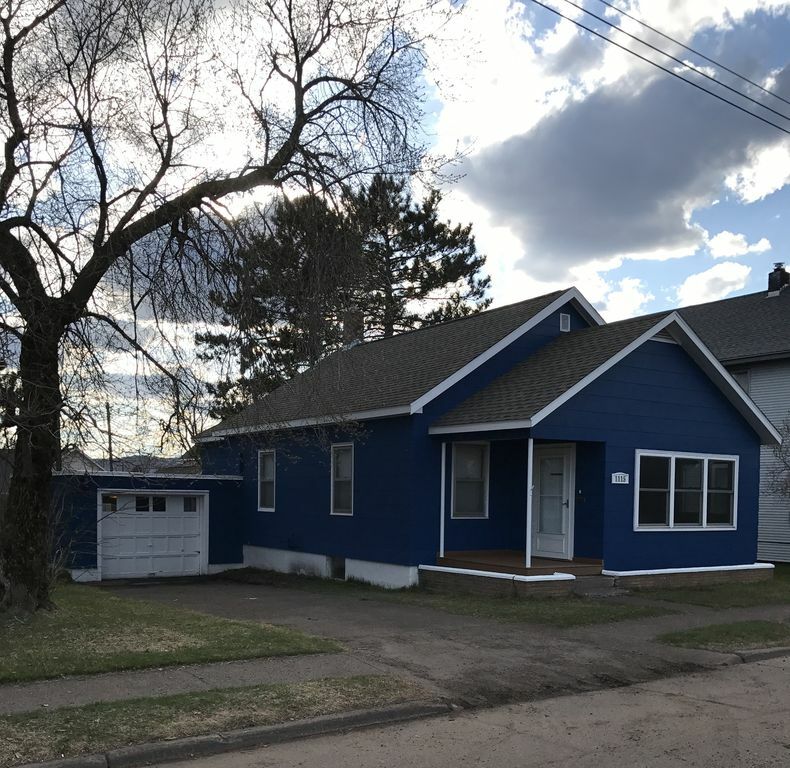 According to Duluth's vacation rental ordinance, minimum stay requirements are based on the season and maximum number of people allowed in a rental unit is determined by the number of bedrooms each rental property has available.